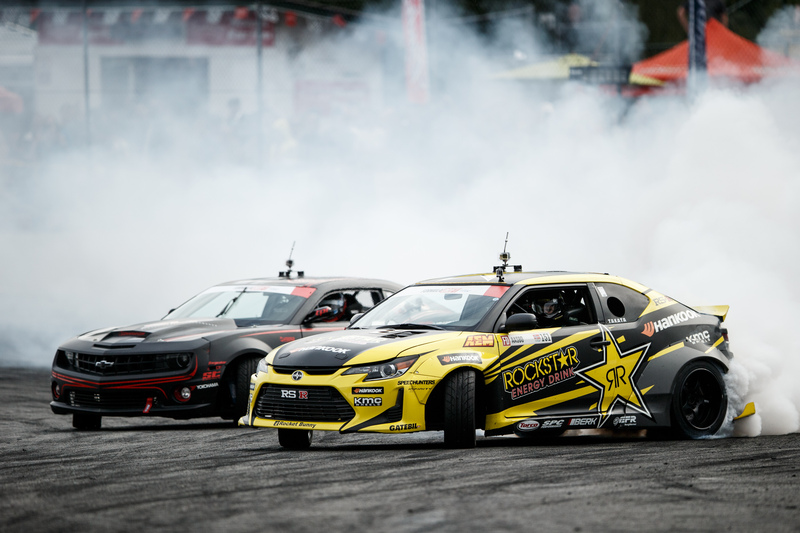 Fredric Aasbo and Papadakis Racing Win 3 out of 5 Formula Drift Rounds! After 5 rounds of the 2015 Formula Drift World Championship, Fredric Aasbo and Papadakis Rcing have won 3 rounds. The Rockstar Energy Drink Hankook Tire Scion tC sits in first place of the 2015 standings, as the team prepare for Round 6 at Texas Motor Speedway in August. Fredric Aasbø is Formula Drift’s Most Winning Driver of All Time and 2018 Season Runner-Up! Posted 2018-12-29 | Comments Off on Fredric Aasbø is Formula Drift’s Most Winning Driver of All Time and 2018 Season Runner-Up! Brand new 2019 Toyota Corolla Hatchback Debuted in New York! Posted 2018-04-15 | Comments Off on Brand new 2019 Toyota Corolla Hatchback Debuted in New York! Icom Toyota 86-X Debuts Brand New Rockstar Energy Drink colors! Posted 2018-03-20 | Comments Off on Icom Toyota 86-X Debuts Brand New Rockstar Energy Drink colors! Fredric Aasbø and Icom Team Up for 2017 Gatebil Season! Posted 2017-04-24 | Comments Off on Fredric Aasbø and Icom Team Up for 2017 Gatebil Season! Successful Debut of the new Rockstar Energy Drink Nexen Tire Toyota Racing Corolla iM! Posted 2017-04-10 | Comments Off on Successful Debut of the new Rockstar Energy Drink Nexen Tire Toyota Racing Corolla iM! Second Overall in Formula Drift 2016 Championship! Posted 2016-10-19 | Comments Off on Second Overall in Formula Drift 2016 Championship! Fredric Aasbo Wins in Canada as Formula Drift Championship Chase Intensifies! Posted 2016-07-23 | Comments Off on Fredric Aasbo Wins in Canada as Formula Drift Championship Chase Intensifies! Fredric Aasbø and Papadakis Racing crowned 2015 Formula Drift World Champions! Posted 2016-02-27 | Comments Off on Fredric Aasbø and Papadakis Racing crowned 2015 Formula Drift World Champions! Posted 2015-08-09 | Comments Off on Fredric Aasbo and Papadakis Racing Win 3 out of 5 Formula Drift Rounds! ...or you can follow me on Twitter! Design and development by Fredrik Sørlie. Photos by Larry Chen and Louis Yio. Copyright © Fredric Aasbo Racing. All rights reserved. Please follow or communicate with me via my Facebook page, or use the contact form on this website.